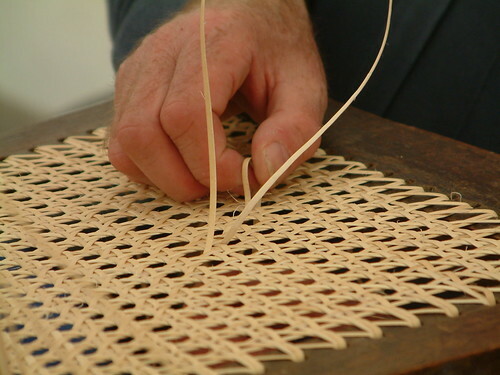 For my last project on this blog I’m going to tackle chair caning. It won’t be nearly as intricate as the photo above! I’d love to try that kind of caning someday, but you’ll see the materials I have available and you’ll understand why that won’t work. It’s my final project! Obviously they won’t all get done by the end of the year (um, this evening) but I’ll continue to post updates until everything is finished. Until then, have a very happy New Year! You are currently browsing the archives for the Cane category.